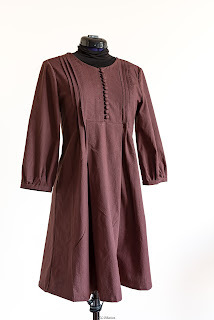 B-rouchka's sewing: Vintage or too Amish? I must say, I cannot make my mind on what I think of this dress. 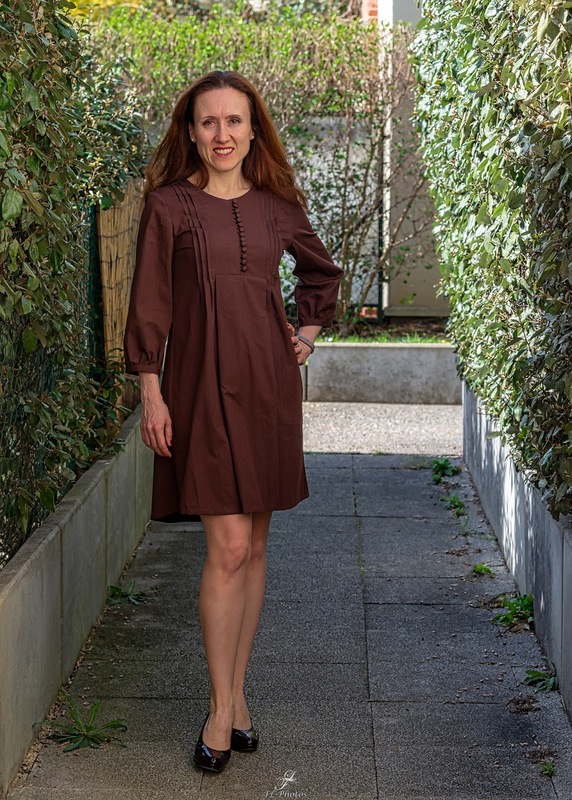 It is actually a Burda reproduction of its own vintage pattern (Burda 102-05/2010) and I must have bought it almost three years ago. Actually I saw it on a different blog, liked the 60s style and did not hesitate much. Then it sit in my stash (worst thing, I have even printed it out, so I had a pack of office paper in my stash actually). Then two years ago, I bough a simple shirting cotton, specially for this project. This year, in some strange mid-period sewing crisis I decided it was high time I sewed it. Funny thing, I did not make any muslin, just did the standard adjustments I do on Burda patterns and it actually worked pretty well, ufff. - pintucks - how many times a year do you have the opportunity to sew pintucks? And also, it is a really cute vintage dress. So, I just fell into that hole and made the dress. The result is pretty good on the technical point of view. I am really happy with the regularity of my pintucks, I redid the yoke insertion twice, but in the end, it is perfect. The fabric creases a lot, but I managed to iron it properly. The fit is spot on. 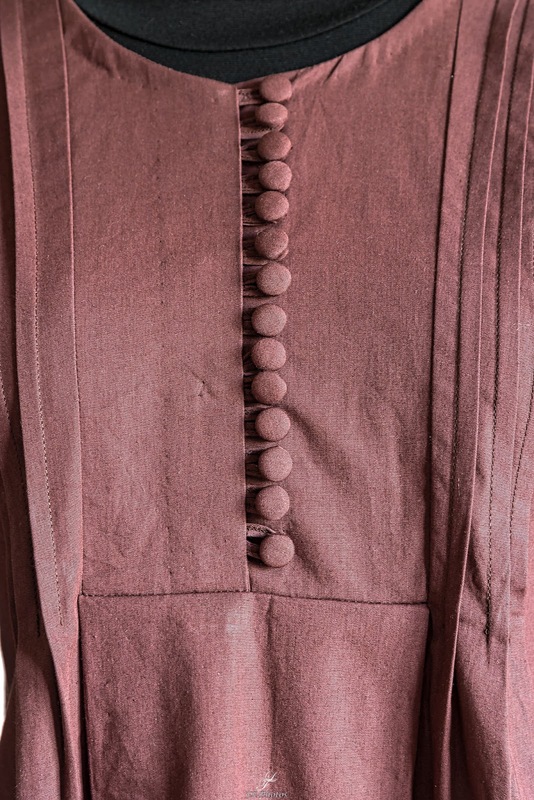 The buttons and loops a such a cute detail! The invisible zip on the side is really invisible and looks very neat even on the inside. The fabric helped a lot, it was easy to iron and did not fray at all. I used French seams almost everywhere, and false French seam on the rest, so it is very clean on the inside. 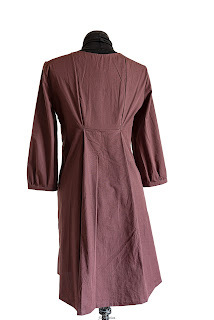 So what is actually bothering me on this dress: well, my BF called it the "nun's dress" :o) and it is very vintag-y. It will get worn over some week-ends, hopefully, but it will definitely not become my every-day dress. 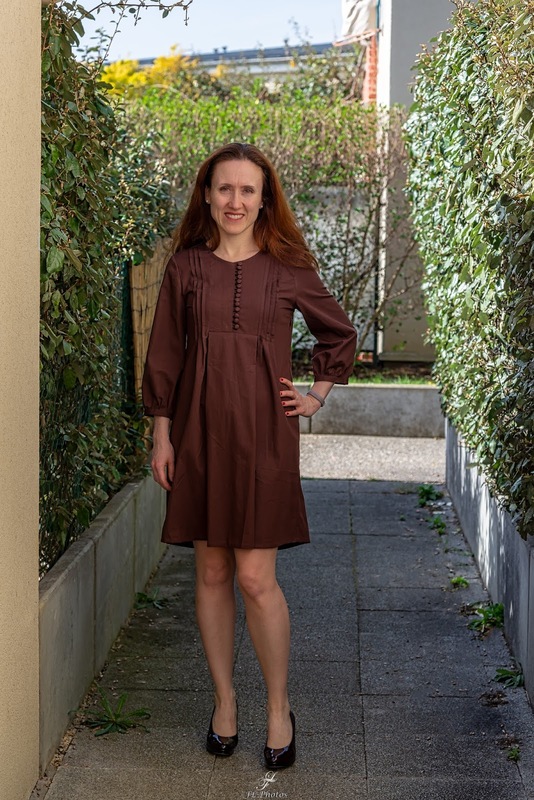 On the other hand, sewing cannot always be a practical hobby and this dress is a great example of a piece I had real fun sewing even if it is not the biggest wearing success.